How do you take a cable series as immediately engrossing and zeitgeist-grabbing as USA’s “Mr. Robot” and make it even better in Season 2? 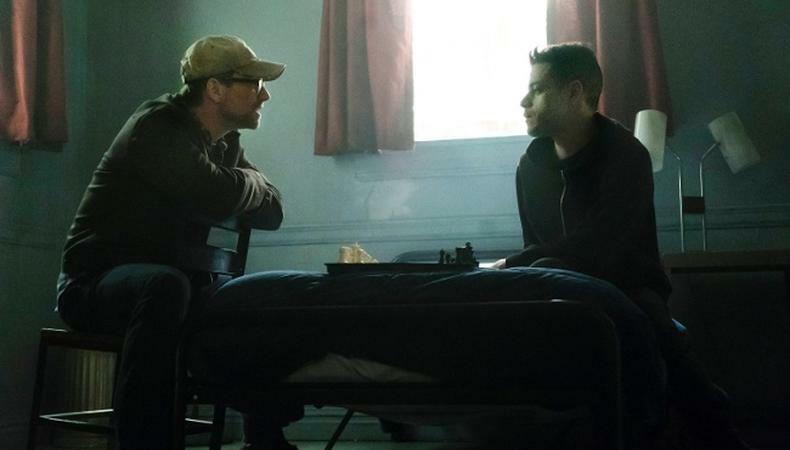 Expand it from 10 to 12 episodes and have first-time showrunner and creator Sam Esmail direct the whole shebang. The creative strategy makes sense considering Esmail’s singular visual style. The series is steeped in high-stakes, slow-boiling dread and drama; each off-center frame thrives in negative space and distills its protagonist’s perception of reality. A socially anxious morphine addict and hacker genius, Elliot Alderson (played with calculating precision by breakout star Rami Malek) vibrates at a different frequency than the rest of society. The society he sees functions on the corruption and greed of a powerful few, and he joins forces with Mr. Robot (Christian Slater, who won a Golden Globe Award for his comeback turn) and fsociety, his hacker organization, to dismantle it. Of course, it was learned in the penultimate episode of Season 1 that (SPOILER ALERT) Slater’s Mr. Robot is in fact Elliot’s split personality and the embodiment of his late father—Elliot, in fact, created fsociety himself. But don’t worry, that big reveal doesn’t mean there’s any lack of intrigue going into Season 2, particularly when it comes to the whereabouts of Tyrell Wellick (Martin Wallström), the reintroduction of Whiterose (BD Wong), and the loyalties of Angela Moss (Portia Doubleday). That’s not to mention Elliot’s balancing act of sanity while losing memory and time, Jekyll-and-Hyde-style, to Mr. Robot. New castings aside, the most important character to get right from the start was Elliot. Esmail recalls nearly tearing the script up and starting anew before Malek walked in the room. Like this interview? Check out more from creators and Meet the Maker!